Jeep has managed to create a lot of classic models that people genuinely like. There are also newer car models available that are used by different car owners right now. Do you own a jeep? You want to make sure that you will have the right key. Some of the most popular car key models are the following: Jeep Cherokee, Jeep Compass, Jeep Liberty, Jeep Wrangler, and Jeep Grand Cherokee. 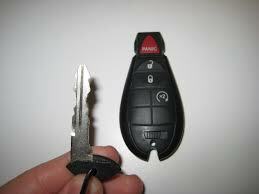 If ever you would need Jeep key replacement for any of the models that are mentioned above, all you have to do is call us. We will do our best to provide the services that you need. There was a time when the Jeep was only used by the military because of its quality. Over the past years, it has managed to become more available to various people. It can now be used by the usual car owner. This is one car brand that has a lot of history. Your jeep door lock has gotten jammed and the key does not work. The jeep key needs replacement jeep key FOB. A person has tampered with your ignition. There is something wrong with your jeep ignition. You have lost your car keys. You may have different reasons for replacement. Just give us a call and we will be more than happy to provide the assistance that you need. Needing key replacement can be considered a hassle but if you are in the middle of nowhere, you do not have much choice. You want to know how much it would cost to have the Jeep key replaced. It will depend on a lot of different factors. The type of car key that you are using for your car will make a huge difference. Older car key models are easier to cut. Creating a spare will not be a problem. Those that are more modern would require replacement Jeep FOB key. You need to spend more for this as it would require more effort for professional locksmiths to program your car key. Your car’s model and the year it was made will also make some differences with the overall cost of the service you need. Whether you need replacement, simply give us a call. Bobcat Locksmith will be more than willing to answer all of your inquiries. The truth is, professional locksmiths may be able to do a better work. They can also provide more services for a much lower price. You can still consult with your chosen car dealer if you want replacement. The replacement will start at $450. The price will become even steeper depending on the car key issues. If you decide that a locksmith may be better equipped with the right tools and skills to provide replacement Jeep FOB key, simply give us a call. We will ask for some information regarding your car key and the model of your Jeep. Our customer service agent will provide a quotation depending on the details you will disclose. What are you supposed to do when you get stuck somewhere because you have lost your car keys? You can give us a call. We will strive to arrive where you are at. We know how inconvenient and stressful it can be for you when you do not have access to your car. Simply give us a call and we will be there in about 20 minutes or less. It will be different depending on your location. Calling us is ideal especially when you compare it to calling a dealer. A dealer will require you to have your car towed so that it can be brought to the shop. Towing services can cost a lot of money and you do not want to spend that much. Remember to just give us a call and we will do our best to provide the auto locksmith services that you require. Whether it is for replacement or the removal of the key from the trunk, we will be there. 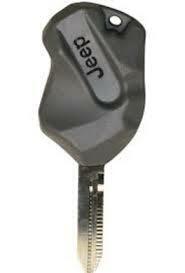 You do not need to have your original key when you need to get replacement Jeep FOB key. What you need have with you is proof that you own the vehicle that you want to open. This is required by the law so make sure to have all the documents ready before you contact any locksmith company. We can create a replacement depending on the type of lock that you have on your vehicle, the VIN code or the remote. We will do our best to work with what you have. Our team is keen on making you as relaxed as possible especially during this very stressful situation. The need for replacement Jeep FOB key can happen anytime. It can be during convenient times during the day or it may be at night. You can experience losing your car keys early morning after you have partied all night long. We know that you want to get home and rest so we will do our best to do the replacement in about half an hour. And, We will provide the key replacement while you wait. We will explain all of the services that we are doing so that you can approve them prior to working on your key replacement. The more knowledgeable you are about the services your Jeep needs, the better. We will be waiting for your call. Contact us now for the auto locksmith services that you need.